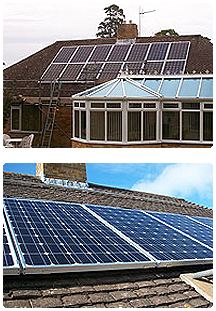 PB Electrical is in partnership with “The Green Energy Centre” providing all aspects of renewable energy for your home, from Air source heat pumps to the popular Photovoltaic Solar panels. 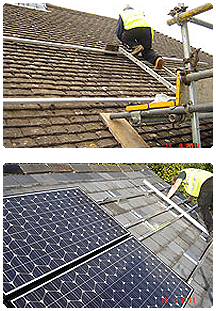 By fitting solar panels you could reduce your monthly energy bills and receive TAX FREE payments with FIT payments, ('Feed-In Tariff' payments), which range from 6.38p per kilowatt produced up to 14.38p per kilowatt produced. Excess energy that is not used is exported back to the grid, paying you an extra 4.77p per kilowatt. FIT payments are dependent on the size of your solar array installed. FIT payments can also vary depending whether your installation is classed as domestic / industrial / commercial. Typical payback period for a standard installation is approximately 10 years.